You can get a free subscription for 1 year to Wine Spectator magazine, but you must be a US resident to get this offer. 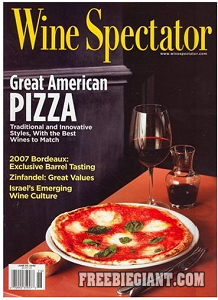 If you would like to get your free 1-year Subscription to Wine Spectator Magazine, simply click here to fill out the request form. This offer is valid while supplies last and it might take up to 10 weeks to get your first magazine in the mail.